Good movie. I agree with your and Peck's assessment of the role power Cady gets in the plot. The second version with Nolte and De Niro in the main roles is also good, with Juliette Lewis as the daughter playing a flirtatious part, egging Cady on. 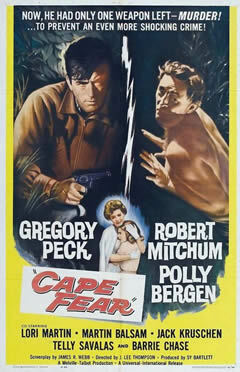 Mitchum, Peck, and Balsam had cameos in this later version, making it an homage, in a way, to the original.